Since forming in 1987, the Japan Exchange and Teaching Programme (JET) has become one of the world’s largest international exchange programs, with nearly 65,000 people from 65 countries selected to promote English language learning and teaching in Japan. To commemorate its first three decades, the JET Alumni Association of New York (JETAANY) is hosting an equally ambitious event. The sold-out gala, which will be held at Brooklyn’s Dumbo Loft on February 3rd, will feature multiple generations of JET participants and community members with ties to Japan, along with a taiko performance, an awards ceremony, and a prize drawing. 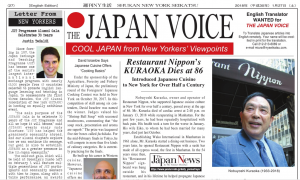 Donations are from local companies and organizations including publisher Vertical, Inc., Kaoru Watanabe Taiko Center, and the venerable Japan Society of New York. 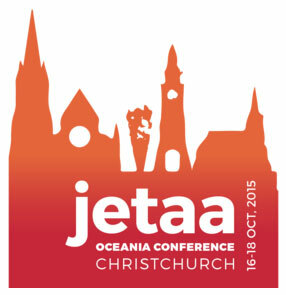 According to Shartzer, JETAANY plans to host similar events in the future, and is delighted to form new partnerships. For sponsorship and donation proposals, email Wendy at president@jetaany.org. For more information on JETAANY, visit http://jetaany.org. Julia Inisan (Kagawa-ken, 2013-15) first visited Takamatsu City, the capital of Kagawa Prefecture in Shikoku, in 2011 on a two-week tea ceremony study tour. That excursion served as a life-changing experience for the Frenchwoman as she fell in love with the city and decided to apply for a spot as a CIR there. As a JET, Inisan has established herself as a valuable member of her local community, working diligently to attract tourism to the area and promote it on a global stage. But Inisan’s work in Japan has been far from limited to just Shikoku: She currently works to support the next generation of JETs as a programme coordinator for CLAIR. JQ caught up with her to discuss her history and blossoming career in Japan. What attracted you to Japan in the first place? As an elementary school student, I was fascinated by mythology and folklore and started reading classics like the Kojiki (Records of Ancient Matters) translated into French. I was also moved by the aesthetics expressed in works such as Murasaki Shikibu’s novel The Tale of Genji and Hayao Miyazaki’s movie Princess Mononoke, and I decided to study Japanese in high school to learn more about the archipelago’s traditional culture. I then had the opportunity to study for one year at Higashi High School in Kitakata, where I fell in love with Fukushima Prefecture’s gorgeous landscapes, and later at Kyoto University, another life-changing experience. What kept me coming back each time was the kindness of the locals, which helped me feel at home despite the cultural differences. What made you decide to become a CIR, and what was that like compared with your previous experience living in Japan? I was a CIR in Takamatsu City from 2013 to 2015. I had always wanted to work for the Japanese local government and promote lesser-known areas of Japan, which is why I applied for the job. As I already had strong connections to Takamatsu, receiving my acceptance letter was one of the happiest moments of my life. I was Takamatsu City Office’s first CIR. Without a predecessor, it was difficult for me to grasp the extent of my responsibilities at first. 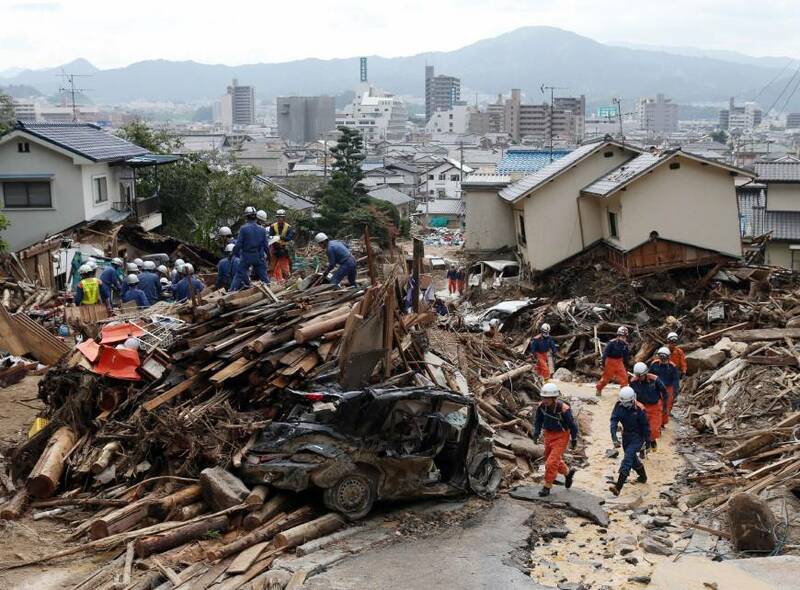 Fortunately, I received great advice from the CIRs working at Kagawa Prefecture and from my JET Programme sempai. Finding a good balance between work, volunteering, and private time was also challenging, but my experiences with the local community have been incredibly rewarding. You currently work as a programme coordinator for CLAIR in Tokyo. How did that opportunity come about, and what kinds of things are you responsible for? When my two-year contract ended in Takamatsu, my contracting organization encouraged me to apply to be a programme coordinator job at CLAIR. I felt very grateful to the JET Programme and wanted to contribute to its development while supporting Japan’s local communities at a global level. I am learning a lot from my Japanese and foreign coworkers at CLAIR, and most of all from the feedback we receive from JET participants. 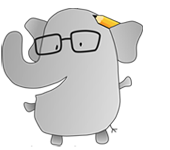 I currently work on a wide variety of projects, such as planning content for Post-Arrival Orientations and the CIR Mid-Year Conference, revising publications like the CIR Handbook, and directing workshops at ALT Skill Development Conferences. Last year, I was fortunate to work in cooperation with Kagawa Prefecture to welcome back Sophie Le Berre (CIR Kagawa-ken, 1995-97), one of the 12 JET Programme alumni who returned to their former places of work as part of CLAIR’s Satogaeri Project. I am also part of the team in charge of the JET Programme Video Contest, which started in October last year. We have received lots of awesome submissions from current and former JET participants promoting their regions from their points of view. I am greatly impressed by the quality and creativity of the videos, which you can view and vote for on the contest’s website. I hope more and more JET participants will participate in this initiative, as these videos are helping tourists discover amazing areas of Japan they’ve never heard of. If you are interested in the contest and missed the deadline for the Autumn/Winter edition, don’t worry: from April 7, 2016, you can still participate in the Spring/Summer edition. A great article on the foreign policy advisors to several Republican candidates, including JET alum Richard Fontaine–outsider foreign policy advisor to Jeb Bush and former security advisor to Sen. John McCain–who is featured and quoted extensively in the article. Be interviewed for a book about the JET Program! Academic, Books, Notable JET Alums, Return on JET-vestment Comments Off on Be interviewed for a book about the JET Program! 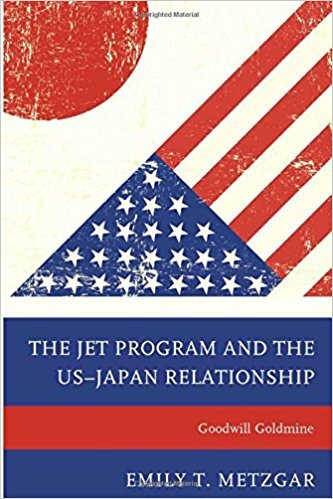 I’m writing a book about American alumni of the JET Program and the growing influence of this community on the broader US-Japan relationship. I’m a professor at Indiana University and a JET alum (Shimane, 1993-1995). I’ve already published some research about American alumni of JET and the tremendous potential of this pool of college educated people with on-the-ground experience in Japan. My book will document that influence in a variety of contexts — political, cultural, educational, corporate, etc. As I work on this book I need your help. I’m interested in talking with American alumni about the various ways they remain involved with Japan after finishing their tenure with JET. Would you be willing to be interviewed for this project? I’ve set up an online data collection site and am asking that alumni who are willing to be interviewed use that link to provide a few details about themselves so I can determine whom to contact and when, based on my research timeline. This project is authorized by my university’s Institutional Review Board (IRB) and as the first item at the link below indicates, all safeguards associated with such university-approved research are in place. If you’re willing to share your post-JET experiences and your insights about the growing influence of the American JET alumni community please click on this link (http://bit.ly/1Fvjvof) and provide the requested information (name, contact info, years & position on JET, current job, and nature of continued involvement with Japan). I will follow up with you soon to set up a phone or Skype interview. If you have any questions about this request or if you’d just like to know more about this book project — I’m always happy to talk about it! — please don’t hesitate to get in touch. Thanks so much for any insights you can share. I’m looking forward to hearing from you. Note: Do not post your responses to Emily in the comment field below. She won’t see them there. You must click the link above. The Yomiuri ShimbunThe government has decided to increase the number of Assistant Language Teachers considerably over a five-year period, starting from the next school year, to strengthen English education at primary schools. 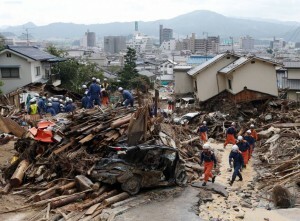 Return on JET-vestment, Volunteer Comments Off on Donate to help disaster victims in Hiroshima! For any inquiry, please contact Dr. Charles Igawa, HKSC Secretary via email at <icigawa@gmail.com> or via (562) 818-7857. Yvonne Thurman-Dogruer (Kagoshima-ken, 1994-95) is a former JETAANY President and Treasurer. She has a Master of International Affairs degree from Columbia University, had a ten-year career at its Center on Japanese Economy and Business, and ran her own business for a number of years. 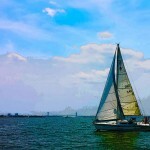 Yvonne currently consults for small businesses and start-ups while continuing the full-time job-search, and is an avid sailor. JETAA NY President in 1999. Columbia grad in 2002. 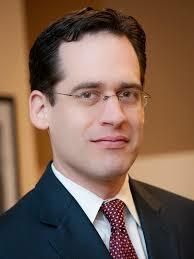 Director at Columbia Business School in 2005. Entrepreneur and business owner in 2008. Now? Unemploy ed. Rarely do I say that I’m unemployed. That’s never my response when someone asks what I do. I’m consulting. I’m job-searching. I work from home. All true. I don’t know how to relate to ‘unemployed’ as a status. It’s easier on the ego to instead talk about what I’ve done up until this point. But after a year and a half with no steady paycheck, there is no doubt I am one of the many unemployed in this country, regardless of how the U.S. Bureau of Labor Statistics might choose to define me. I do consulting work when I can get it, and I continue to look for a full-time, salaried position. I am unemployed. This summer marked a couple of milestones in my life; 25 years since graduating high school, and 20 years since I was on the JET program. I’ve attended really great reunions — hours full of fun and therapeutic reminiscing about the past. I would come home from them feeling good about reconnecting with those who had played an important role in my personal and professional growth, and proud of the many things I’ve accomplished in life so far. And then comes the question, “where am I now?”. That has me stumped. What are these invisible barriers holding me back from moving forward? This all feels so foreign to me, as I had always felt grounded in my professional life. Every day is a challenge to keep steady, strong, and navigate myself through such an unpredictable environment. And every day, I seem to get through, and continue to look for that thing called a job to give me some sense of stability. Each month, current and former JET participants are featured in the “JET Plaza” section of the CLAIR Forum magazine. 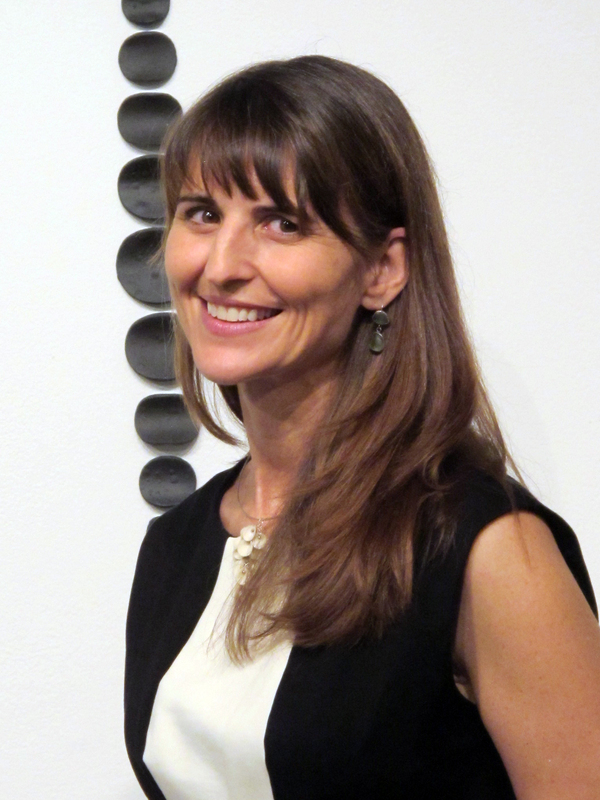 The July 2014 edition includes an article by JET alumnus Laurel Stevens Lukaszewski. Posted by Celine Castex (Chiba-ken, 2006-11), currently programme coordinator at CLAIR Tokyo. My JET experience taught me I could live in a world where I did not necessarily understand everything, but could still cope and thrive. Twenty-four years ago I interviewed for the JET Programme in Atlanta, on my birthday. I felt this was a good omen, so I was not nervous even though this was my first professional interview. 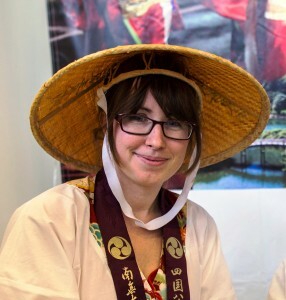 Despite spending the last two years of college studying all things Japanese, from language to religion, I had no personal connection with the country and had never been there. What was merely acting on a brief comment by a Japanese politics professor about an opportunity to teach in Japan led me down a path that has guided me over the past two decades. I spent my two years on JET as the first Assistant English Teacher to be assigned to the town of Minamitane-cho, on Tanegashima, an island off of the southern tip of Kyushu in Kagoshima-ken. I taught at five junior high schools and visited eight elementary schools, usually the first foreigner any of the students had ever met. My role in class varied depending on the school, but every teacher I worked with was eager to include me in activities ranging from PTA BBQs to harvesting sugar cane with students. During my first weeks I experienced two homestays before moving into my own apartment. In Kirishima, a beautiful mountain town overlooking the Sakurajima volcano, I stayed with a family with three school-age daughters. I did not know at the time that they would become my Japanese family, that their home would become mine whenever I returned to Japan, even decades later. Arriving in Minamitane-cho, I had a second homestay. And, once again, I had no idea that this young couple with three-year-old twins would end up being lifelong friends, attending my wedding, sending seasonal messages as the twins grew into young adults, and hosting my husband and me years later when we were stranded in Kagoshima by a typhoon.